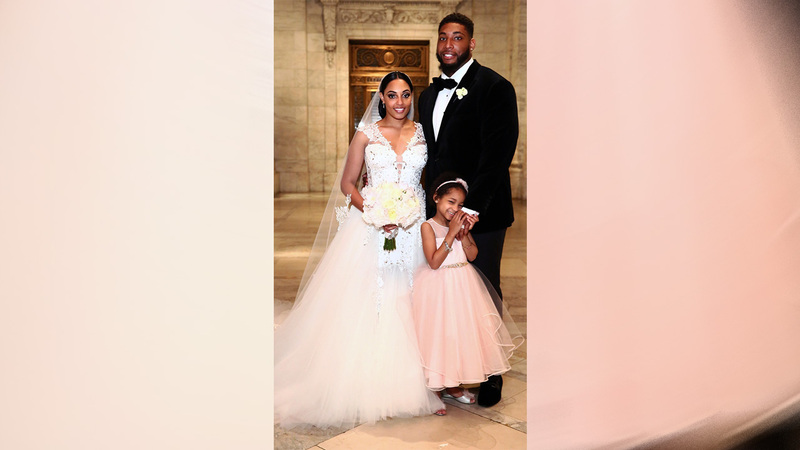 NEW YORK -- Houston Texans player Devon Still wed his fiancee in New York City on Friday but it was his daughter who stole the show. Leah served as the flower girl during her father's wedding. She is cancer free after her public battle with cancer that tugged the hearts of many. In her pink dress, the cheerful 6-year-old cried and reminded those in attendance of her new family. "Thank you for everybody supporting me and I love my new family," Leah said during a toast. "Now, let's party!"